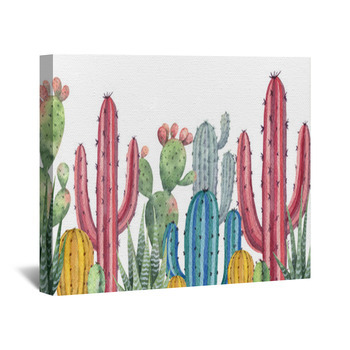 The bright colors, friendly smiles, cold drinks, spicy food and wide open landscapes of Mexico are all featured on our Mexican style wall art. 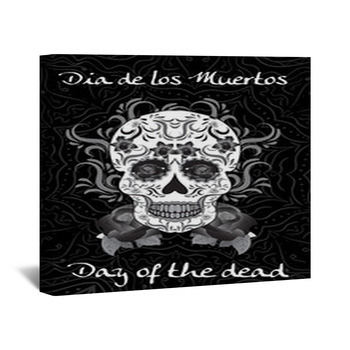 Bring your living room a taste of a fascinating culture with a canvas wrap that pictures an illustration from Mexico's Day of the Dead festival, which blends European and native religions. 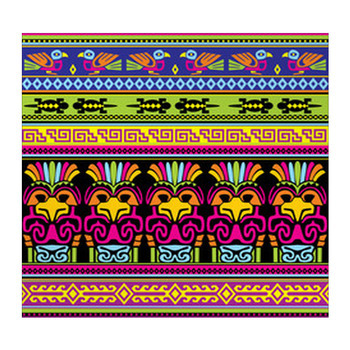 This wall art pattern shows a white skull decorated with a gold cross on its forehead, gold trimming around its eyes, mouth and nose, and an ornate floral design painted in green, orange and pink across its head and face. 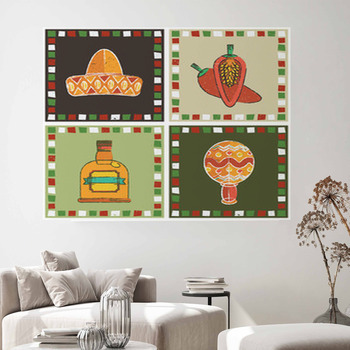 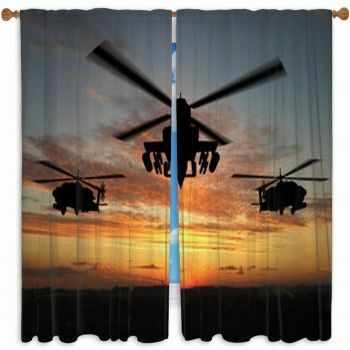 Next, warn your guests that in your home the food is always hot by hanging up a wall mural in your dining room that exhibits classic Mexican dishes. 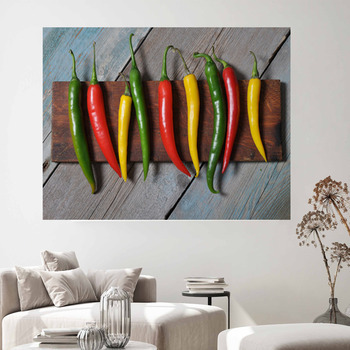 A flaming bowl of red salsa is pictured beside tortilla chips and a pair of chili peppers on this wall art. 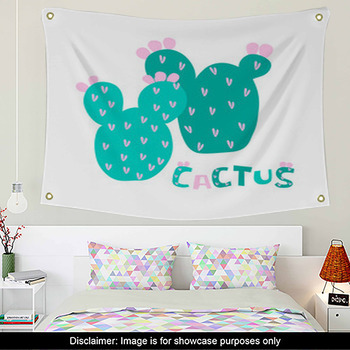 Your Mexican style wall mural also displays two ancient Mexican symbols and a cactus in the Mexican desert. 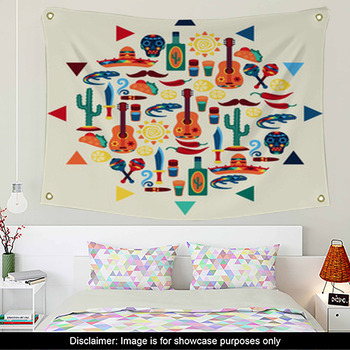 Give your bedroom a mystical and sophisticated feel with a wall hanging that exhibits an ancient Aztec calendar. 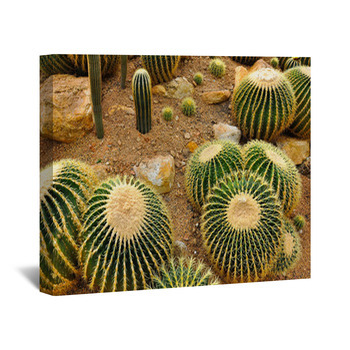 This circular calendar offers an incredible wealth of detail, combining sacred images of the Earth and sky in concentric rings across its stone blue and green surface. 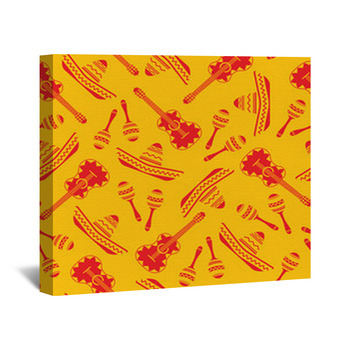 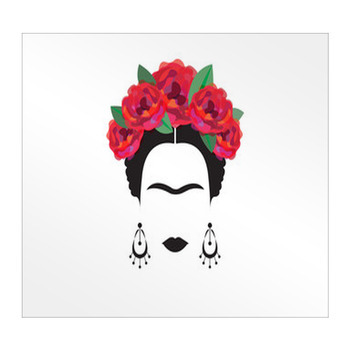 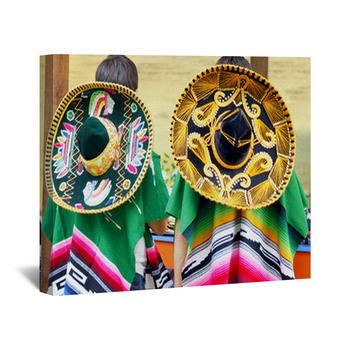 Then give your kids Mexican style wall art that makes sure they never forget their Mexican heritage. 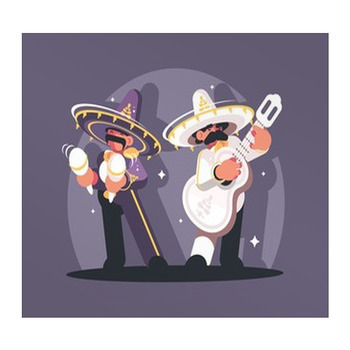 Select wall stickers or decals that show a Mexican boy in a red and tan sombrero as he holds his hands out and smiles, welcoming you into his country. 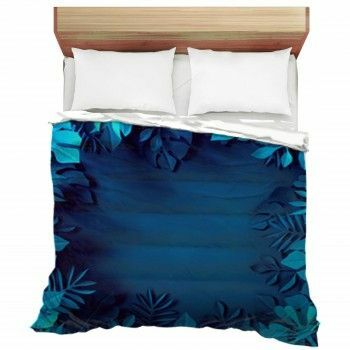 Then teach your kids that the great pyramids and monuments of the world aren't just in Greece and Egypt by giving them a custom poster that showcases a photo image of the Mayan temple in Palenque, Mexico.